Gluten free and vegan polenta and date shortbread topped with a date caramel centre and a rich dark chocolate topping. 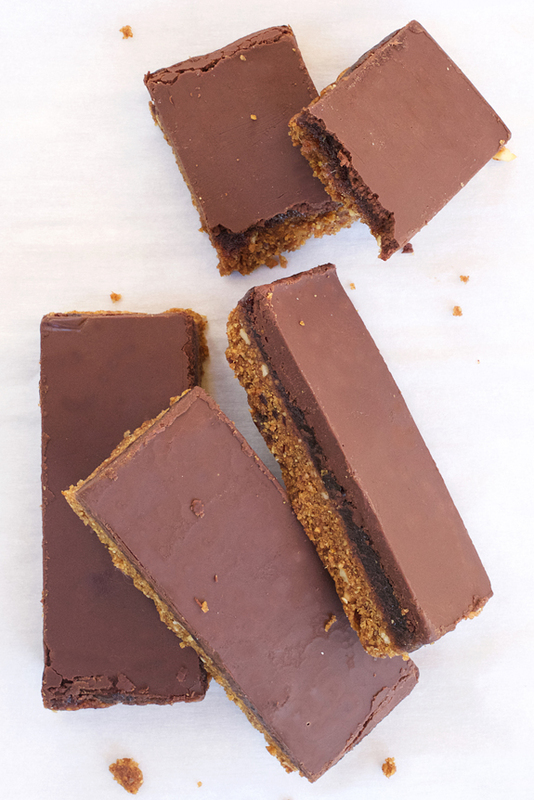 An innovative and delicious use of dates to sweeten the base and the caramel thus avoiding any refined sugars in these layers. A date sweetened version of our regular Chocolate Caramel Shortbread. Shortlisted for the FreeFrom Eating Out Awards 2016. Suitable for vegetarians and vegans. Registered with the Vegan Society. Find our Vegan FAQ's here. May contain traces of milk. Allergen information can be found here. The 64g bars are available to buy in John Lewis and Waitrose cafes. "Obsessed with Honeybuns gluten free date and polenta shortbread," B.F.
"Wow, they are so morish! !," L.D. "Your Squillionaire was very tasty the perfect choice to go with my coffee @waitrose," L.P.
"I've just had one of your Squillionaire bars in John Lewis, and had to tell you it was excellent! I so rarely give feedback, which is an indicator of just how excellent!," L.B.